Are you suffering from pain between the shoulder blades or upper back? Does this radiate into your neck, or does this leave you feeling unwell or with pain to take a deep breath? Do you have pain in the lower ribs making it difficult to twist? The thoracic spine and rib cage can be a source of pain for many reasons. It is often an underestimated source of problems and can also contribute to lower back pain, shoulder pain, neck pain, reduced sports performance and altered breathing. Here at Synergy Physio we work closely with one of the world leaders in treatment and research into thoracic problems. Canadian Physiotherapist Dr LJ Lee has developed unique and innovative assessment and treatment techniques for the thorax. Our team have completed many courses under the expert guidance of LJ Lee who has worked tirelessly to push the boundaries of our understanding of the thorax and recently complete her PhD. We have completed workshops, training and also assisted LJ in teaching on her Australian courses. 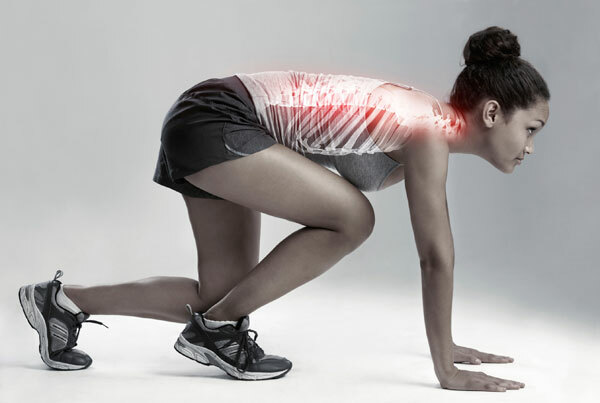 Here at Synergy Physio we utilise LJ Lee’s approach and are able to assess and treat your thorax and rib cage with thorough assessment and treatment techniques to help you move forward. We can also explore how your thoracic problem might be affecting your breathing pattern, your sports performance or even your lower back pain. Take the first step in recovering from pain and call us today for an appointment, we look forward to helping you.